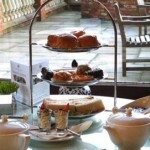 Enjoy a mouthwatering afternoon tea in beautiful surrounds at Oakley Hall Hotel in Hampshire. In the distinguished Oakley Hall, built in 1795 and formerly owned by the Bramston family, close friends of Jane Austen, the talented Head Chef prides himself on using only the best local ingredients available to create a modern approach to his dishes. This majestic Grade II-listed manor, surrounded by 315 acres of gardens and rural land is just a few minutes’ drive from Basingstoke. 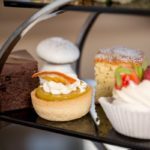 Afternoon tea is served in the recently opened Glasshouse restaurant. 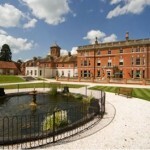 Or in fine weather, why not venture outdoors and have afternoon tea on the beautiful terrace. 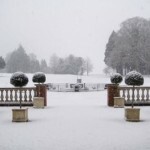 Soak in the historic surroundings, nestled in Hampshire’s rolling countryside, as you sip on the fine tea of your choice, and feast on finger sandwiches, cakes, scones with clotted cream and preserves, all freshly prepared on the premises. 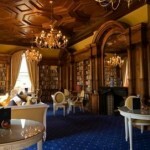 A quintessentially English experience for ladies and gents of distinction. 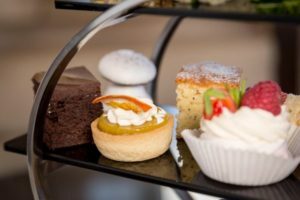 We have a delicious afternoon tea offer with our partners at Buy a Gift. Priced at £59 for TWO, Buy a Gift operate a voucher system. Simply buy your gift voucher, which is valid for 10 months, and then book a date which suits your diary.